International Budget Hostel is beautifully situated in the heart of the city centre in the Leidseplein (Leidse Square) area. Leidseplein is the most famous nightlife area in Amsterdam. 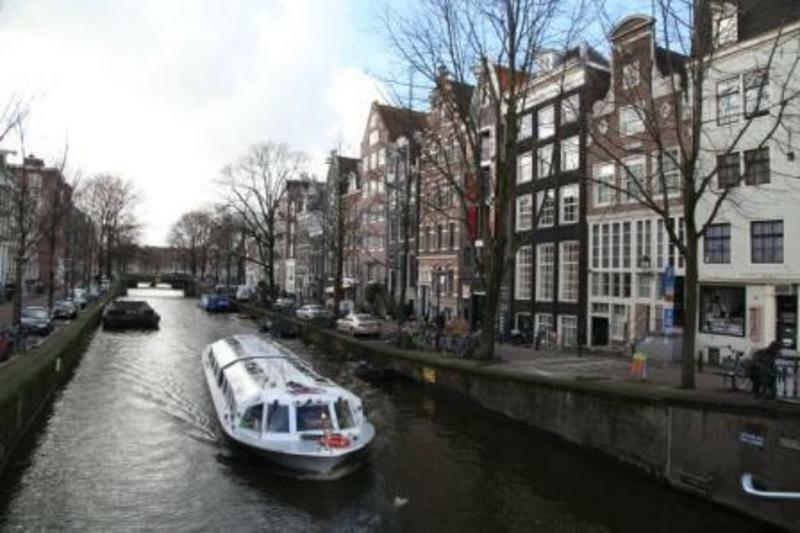 The location of the hostel is on a quiet, beautiful canal - the Leidsegracht. Rooms are shared mixed from triples and quads to five- and six-person rooms. Each hallway has showers and WCs. Our hostel, set in a former 17th-century warehouse, has a cosy lounge facing the canal where one can relax and socialize and meet other fellow travellers. Breakfast is not included in the room price but is available in the lounge between 9am and 12 noon. 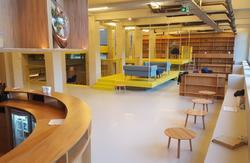 The lounge has vending machines, a television, an internet station and a public phone. Free Wi-Fi is available in the entire hostel. We are placed in a old monumental building with no elevators, just steep stairs. We also have a house cat (which does no harm at all) who just stays in our lounge area and does not come in the rooms. Due to the new non-smoking law which is introduced since July 1st 2008, smoking is not permitted in the hostel. The entire hostel has smoke detectors. There is video security in all public areas. 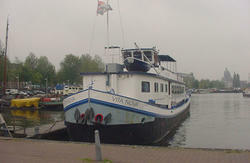 To arrive at the hostel from Schiphol, you need to take a train to Amsterdam Central Station (about 15 minutes). From there, take tram #1, #2 or #5 and get off at the sixth stop ('Prinsengracht'). Turn right and follow the canal (also called 'Prinsengracht'). Cross the first bridge and turn left. 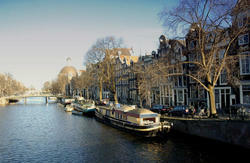 This is Leidsegracht; we're located at number 76.